Flood Water Damage Restoration Tweed Heads – 24 hours flood water extraction and quick emergency drying services. Call 1800 189 824 now !!! We provide Fast Flood Water Extraction and Quick Carpet Drying Service in Tweed Heads. Our company is certified with the legal authorization authority for cleaning services in Tweed Heads. Our aim is to provide 100% quality work and satisfaction to our clients by delivering high quality and professional dealing of flood water damage. We provide professional work coupled with the right set of expertise to deal with any type of flood water disaster restoration of carpets, rugs and other upholstery belongings of a home. 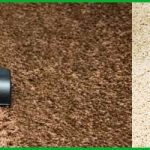 Carpet Flood Water Damage Restoration Tweed Heads Our services are not limited to above mentioned services list we are always open to new methods, techniques and approaches to solve all sorts of flood water damage. Call us now and get your free quotes today!